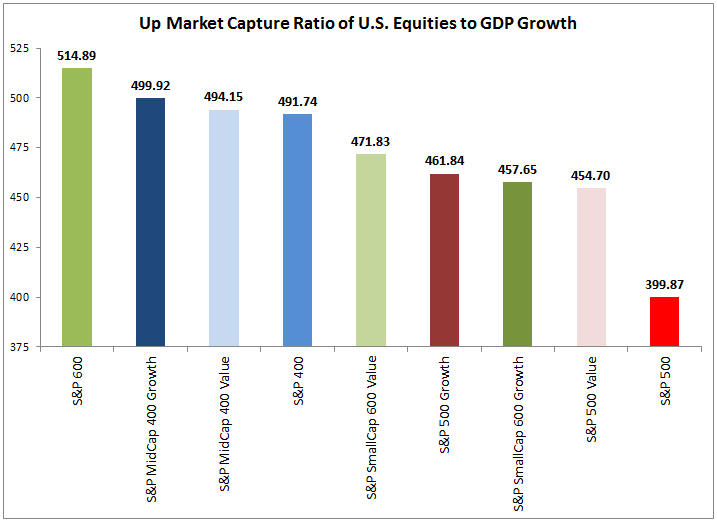 On average for every 1% of GDP growth, the small-cap index, S&P 600, historically gained 5.1%. This is only slightly better than the mid-cap index, S&P 400, that gained on average 4.9% but is significantly better than the large-caps of the S&P 500 that rose just 4.0%. Also notice growth and value styles dilute the impact of GDP growth on small cap, though significantly lift large-cap. Technology mid-caps has been the big winner, gaining 7.4% for every 1% rise in GDP. However, financials, health care and energy were most positively sensitive in small caps, rising on average 6.9%, 6.4% and 6.3%, respectively, for every 1% GDP growth. 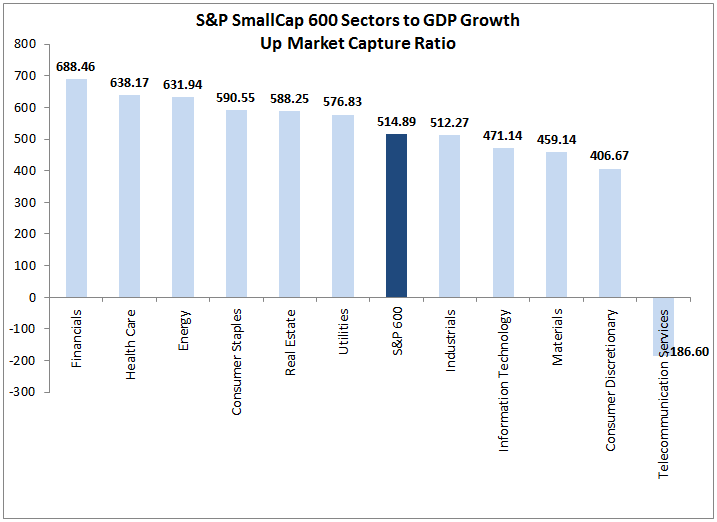 Although only small-cap telecom lost on average with GDP growth, consumer discretionary, materials, technology and industrials did not rise as much as the composite S&P 600. Therefore, even though the small-cap index is hard to beat, there are chances if GDP growth accelerates. While the economy seems strong and the stock market is booming, the U.S. dollar is down about 3.3% so its impact should be addressed. In the past 10 years, a falling dollar is better for stocks than a rising dollar, and mid-caps benefit most from the falling dollar. On average for every 1% the dollar falls, mid caps rise 3.2%, small caps gain 3% and large caps gain 2.6%. A rising dollar doesn’t hurt, but when the dollar rises stocks are less sensitive to the move. However, not surprisingly, a rising dollar does hurt energy, the most negatively correlated sector to the dollar. Oppositely, as the dollar weakens, energy, especially in small caps, may gain most. More on the U.S. dollar’s stock market impact will be in another post soon, but in the meantime note large-caps do worst of the sizes with both GDP growth and a weaker dollar.